If you see this error message when launching World of Warcraft: World of Warcraft was unable to start up 3D acceleration, don’t panic! This is a common error and you can fix the issue of unable to start up 3D acceleration in your World of Warcraft. Why does the error message pop up in my computer? Generally this error is pertained to your graphics card or DirectX feature, and the incorrect game settings can also cause the error “World of Warcraft was unable to start up 3D acceleration“. But don’t worry if your 3d acceleration is not supported by WOW. Many people resolved the issue with the solutions below, so read on and get your game up and running in no time. As you may know, the 3D acceleration feature is part of DirectX feature, so if there’s something wrong with your graphics card, you’re likely to get the World of Warcraft was unable to start up 3D acceleration error. 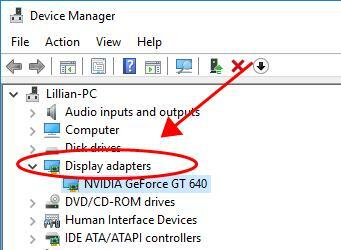 3) Double click Display adapters to expand it, and find your graphics card. Note: Ensure that your graphics card device has been enabled, as some people find the graphics card in their computer is disabled and then they get the error message. 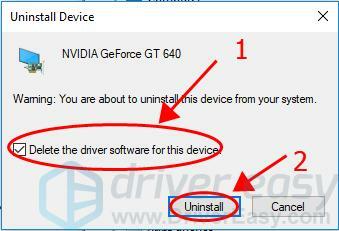 3) Right click on your graphics card, and select Uninstall device. 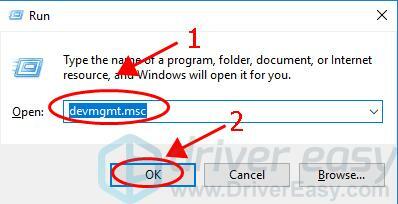 4) Check the box next to Delete the driver software for this device, and click Uninstall. 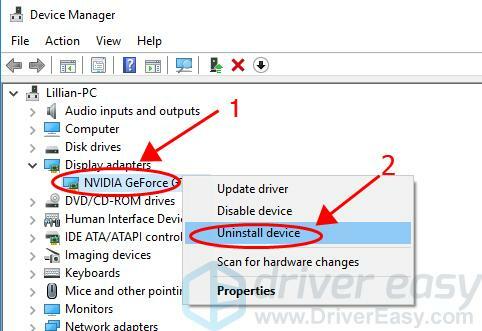 5) After uninstalling, restart your computer and Windows will reinstall the video card driver for you. Launch World of Warcraft again to see if it works. If this method doesn’t work for you, don’t worry. We have something else to try. The missing or outdated graphics card driver can lead to the error message “World of Warcraft was unable to start up 3D acceleration” and failing to play the game. So you should verify that your graphics card driver is up to date. 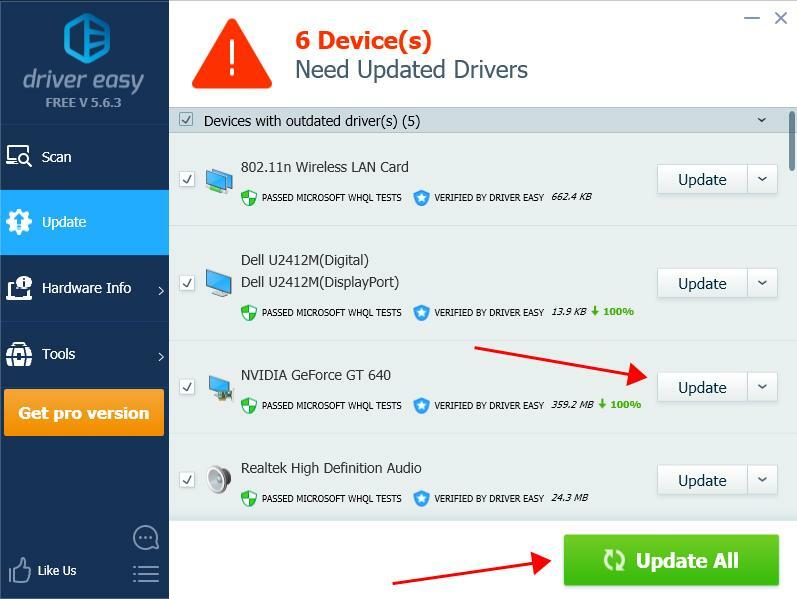 There are two ways to update graphics card driver: manually and automatically. Manually: you can go to your graphics card manufacturer and find the latest correct driver that is compatible with your Windows operating system. This requires time and computer skills. 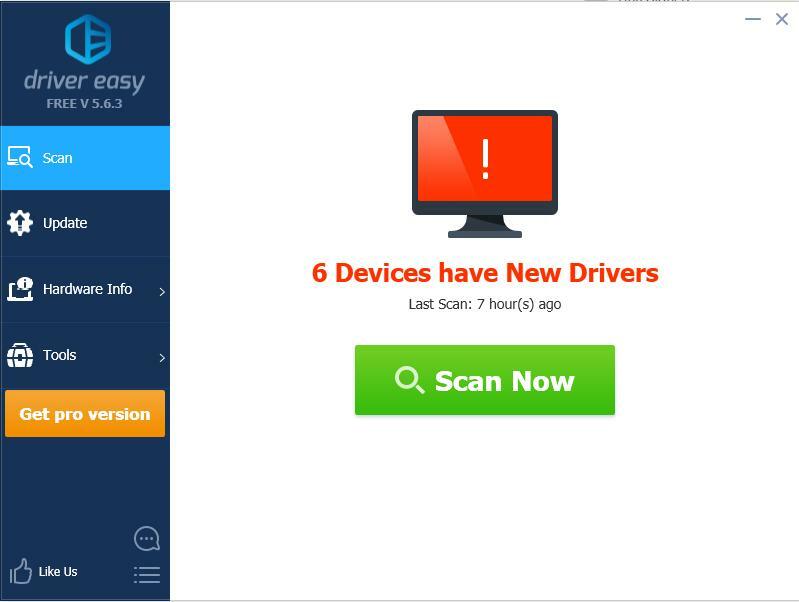 Automatically: if you don’t have time or patience, you can do it automatically with Driver Easy. 3) Click the Update button next to the flagged graphics card to automatically download the correct version of their driver (you can do this with the FREE version), then install it in your computer. Open your game again and see if it works now. The Fullscreen Optimizations feature enables the operating system in your computer to optimize performance of games when they’re running in full screen mode. Many people have removed the error ‘World of Warcraft was unable to start up 3D acceleration” by disabling this feature. 1) Go to the game folder where your World of Warcraft setup package is stored. 2) Right click on your game’s application .exe file, and select Properties. 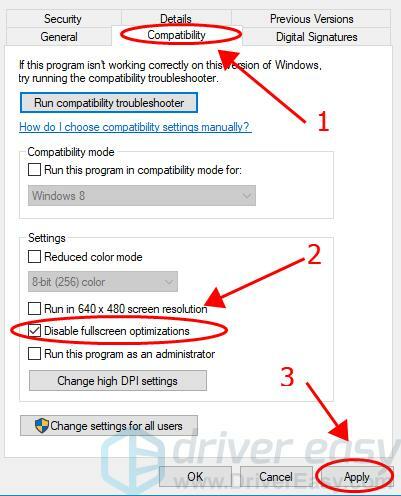 3) Click the Compatibility tab, and check the box next to Disable fullscreen optimizations. Then click Apply to save the change. 4) Restart your computer and open World of Warcraft to see if the error disappears. You can try installing the latest DirectX in your computer to fix the error of unable to start up 3D acceleration in your World of Warcraft. Generally speaking, for Windows 10, Windows 8 and Windows 8.1, you can directly update your Windows to the latest version to install the latest DirectX in your computer. However, for Windows 7, Windows Vista and Windows XP, you may need to install an update package to update DirectX. You can go to the Microsoft website for more information about how to install the latest version of DirectX in different Windows operating system. After updating DirectX, restart your computer and try the game again to see if the error disappears. That’s it. Hope this post comes in handy and helps fix the error message “World of Warcraft was unable to start up 3D acceleration”. If you have any questions, feel free to add a comment below.